Walking into Erik Runyan Jewelers on Main Street in downtown Vancouver, Washington, can feel like stepping into another world. The showroom is one-of-a-kind, with its rustic yet luxurious decor coupled with historic jewelry cases that harken back to the roots of the company. One gets the feeling of experiencing something very special. As it turns out, that special feeling is like wearing ERJ jewelry — especially from the vintage collection. For the vintage jewelry itself, that occasional, golden, sunshiny glow illuminates glittering display cases arrayed with spectacularly beautiful items: diamond-encrusted rings; gemstones that radiate an otherworldly light; even vintage watch parts that have been repurposed into stylish and truly unique jewelry — cufflinks, earrings, pendants. As Runyan’s friendly staff cheerfully greet guests, answer customers’ questions, and offer suggestions, there’s a sense that the noisy modern world outside those big windows is somehow more distant than it was when you first entered. The Runyan crew moved into this building on Feb. 21, 2016 — Erik Runyan’s birthday, coincidentally — and yet this new Vancouver location at 501 Main Street is actually a return to the company’s roots. Erik’s great-grandfather started the family business at this same location. The original building is gone, but some things have remained the same. Runyan’s commitment to customer service, for example, is as steadfast as that of his great-grandfather. Now with a fifth generation entering the family business, you won’t find a more qualified staff to help you acquire that next jewel in your collection. If your interest is drawn toward vintage jewelry, perhaps you have questions: What makes jewelry “vintage”? What vintage jewelry does ERJ sell? Is vintage jewelry expensive? To help answer these and other questions, we’ve put together a vintage jewelry guide to assist you in your selection. Typically, vintage jewelry is between 50 and 100 years old. Items older than 100 years are usually referred to as antique. You may hear people refer to vintage jewelry as antique or vice-versa, but they are technically not the same thing. An extensive examination of eras and styles is beyond the scope of this article, but let’s go over some of the basics from three decades of jewelry’s yesteryear. The decade of the 1920s goes by a lot of names: the Roaring Twenties, the Jazz Age, the Golden Age Twenties. It was a time of relative peace and stability for many Americans and a time of prosperity for entrepreneurs, including young, avant-garde designers, such as Gabrielle Bonheur "Coco" Chanel. Women took advantage of a new emphasis on personal expression during the decade. Shorter hairstyles and shorter hemlines were all the rage. Those short hairstyles meant both glittery headbands and exposed ears, which, of course, meant fashionable earrings, especially dangling styles. In fact, length became an important consideration for all kinds of jewelry: earrings, necklaces, strands of pearls, even bracelets. Women’s hairstyles got longer (and curlier!) during the 1930s, and the popularity of movies and movie stars had a tremendous impact on the fashion industry. Brooches became hot items, as well as blue glass, sterling silver, green gold, filigree patterns, and rectangular-cut gemstones, such as amethyst and aquamarine. There were also jewelry styles based on Egyptian and Native American art forms, while the Art Deco style continued to evolve. Let’s jump ahead in time to the most recent era considered “vintage.” Not since the heady days of the Roaring Twenties did jewelry designs and popular styles achieve such an eclectic blend. In fact, much of the styles from earlier decades continued to be worn (they were becoming vintage by this time!) and remained influential for a new generation of designers. Highlights of 1960s jewelry include beads of vibrant, fruity colors; delicate, cascading chains attached to shining metal collars; and rings, bracelets, and necklaces made of enormous, funky, psychedelic blocks. Diamond solitaire engagement rings remained in fashion, too — although those never really go out of style. As time goes on, modern becomes vintage, and jewelry is subjected to natural aging processes. 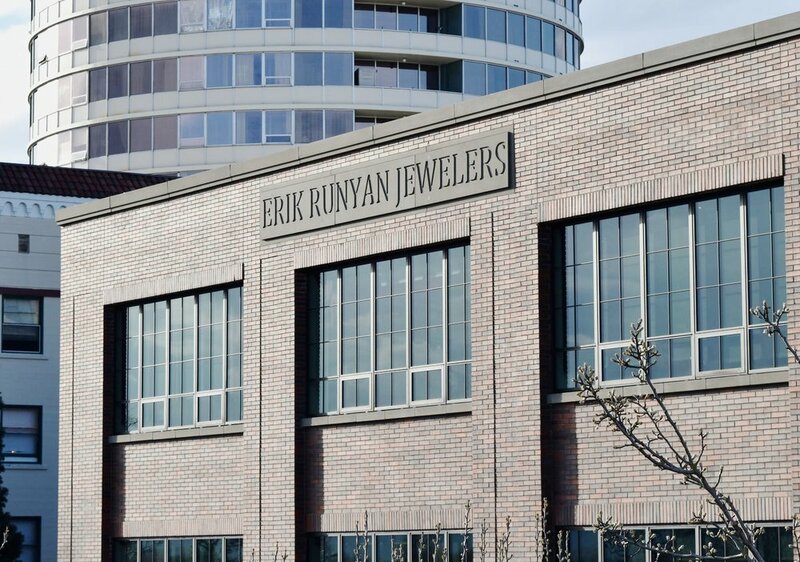 Erik Runyan Jewelers offers professional appraisals as part of their suite of services. If you’re interested in selling your own vintage jewelry, come on by, and they’ll get the process started for you. ERJ offers the absolute best collection of vintage jewelry out of Clark County and Portland, Oregon. Timeless designs and classic styles abound in Runyan’s Vintage Jewelry Salon: Old European cut diamonds, Victorian lockets, gold coins, cultured pearls, filigree designs, and more. Do you have a passion for classic bridal design or alternative bridal pieces? Runyan features items from every era. In fact, you never know what you’ll find at ERJ. Inventory is constantly changing — and constantly fascinating! Perhaps best of all, vintage jewelry offers some fantastic values. You might be surprised at how affordable one-of-a-kind vintage pieces can be. ERJ can even custom design jewelry for you that mimics the styles of bygone eras.